Whether you’re lathering on sunscreen before you head to the pool, or covering up for general protection while going about your daily routine, it’s good to know what an SPF actually does. SPF stands for “Sun Protection Factor,” and it does exactly that: protects you from the sun! While clothing is the most basic and generally the best means of sun protection, a lot of clothing is made with a loose weave which allows the UV rays to pass through, so it’s always prudent to use a suncreen. There are different levels of SPFs. When you’re buying a sunscreen and the bottle says “SPF 15,” the number 15 stands for the amount of protection that sunscreen is going to give you. See the difference in the SPF versus the different protection percentages? An SPF 30 is only giving you four percent more protection than the SPF 15. Exposing your skin to the sun for just 10 minutes can produce burning and skin cell damage. Exposing yours skin to the sun with an SPF 15 will allow you to be in the sun for around 150 minutes without experiencing skin cell damage. Be aware that applying sunscreen isn’t a one-time thing. SPF should be reapplied every two hours, and even more frequently if you are swimming or perspiring due to hot weather or increased activity. Another way to to look at SPF levels is to observe the number of photons that enter your skin —a photon being a particle that represents radiation. 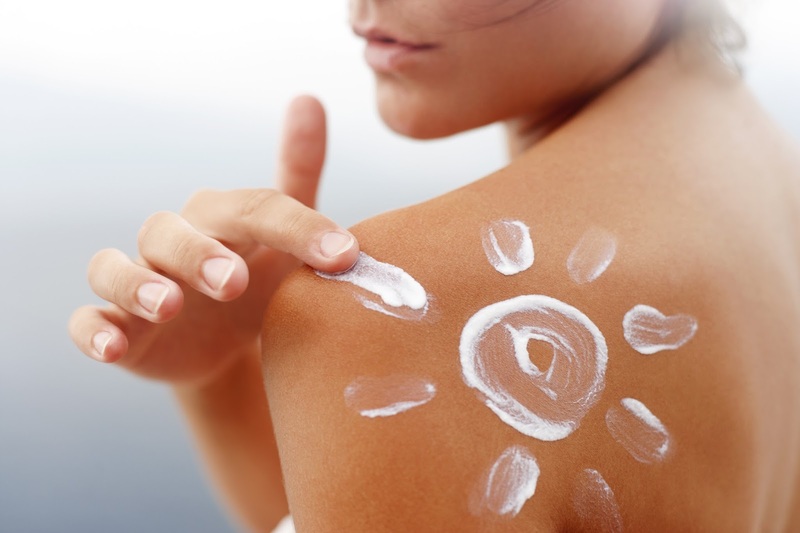 SPF should be used every day, even when the sun isn’t shining brightly!